FGM is a professional service firm that practices architecture, interior design, and landscape architecture. John Ochoa, president at the firm, contacted Paper Tower when his team realized it was time to update their website. 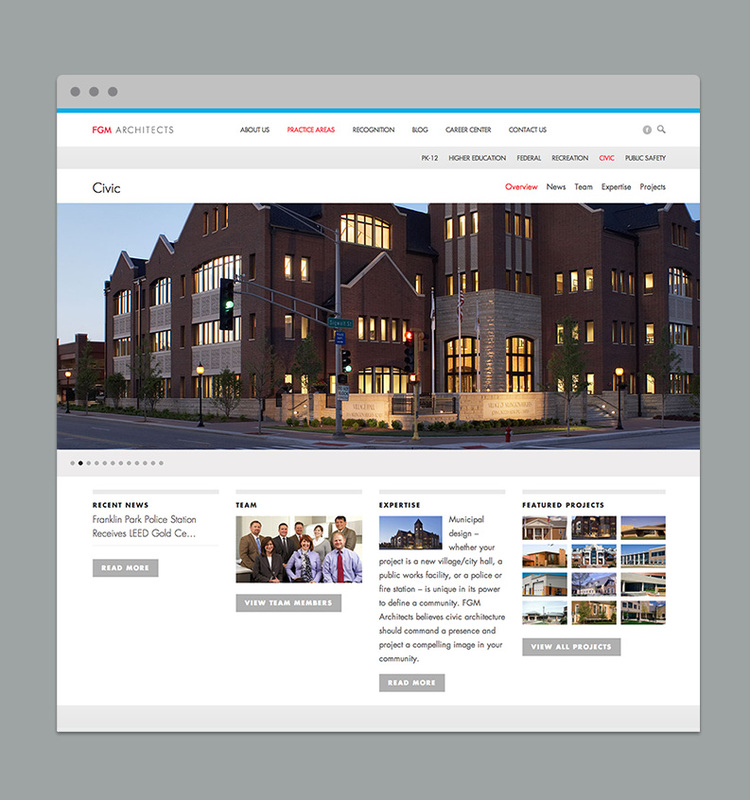 An award winning firm with great relationships with communities across Illinois, the team wanted a website that communicated the excellence of their work. As we discussed their needs, it was clear their website was holding them back. Since their old design relied on Flash technology, their website did not work on many mobile devices. Building on our previous branding work for the firm, we envisioned several ways to translate the experience and reputation of their service onto the web. We developed the new site on WordPress using Html5. With a clean and modern look, users can easily navigate their new site on desktops and mobile devices. In addition, we placed large images of their work at the center of the website to illustrate their essential role in many Chicago communities. Their new site is effortless to manage and catches the attention of young customers and potential employees.